I have listened to a few of these and was blown away by the expertise of the guests, but the host constantly interrupts them with his mumbling, quite rude comments. In many of the episodes I listened to, he cuts off the female guests so much that they hardly can even get their information out, and are left with fractional amounts of time to speak compared to their male guests. I was astonished at how blatant it was. I cannot express how much I dislike this host, despite the excellent content of the guests. If they got a new host, I would listen. Someone falsely claimed the host is sexist. Untrue. Melvyn treats every guest the same. If a guest wanders Bragg gets them back on track by interrupting them and steering them back to the conversation. Male or female every guest is given time to talk. It’s only a 45 minute show. Focus people. Trust me you’ll love this. I notice the host really freaks out when he hears something he has never heard about before - especially from a woman. A guest started talking about “the matter of Britain” - a literature reference (I think it was in the Tristan and Isolde podcast) anyway he doesn’t like it if anyone presents him any info he isn’t aware of. And of course he just insists on interrupting or telling a guest to hurry up frequently. This show is super informative and the panelists are wonderful. The host is like a stale biscuit which is one of 2 unfortunate things. The second issue is that this show has so much heavy breathing and lip smacking sounds that aren’t filtered out it’s distracting and annoying. Cannot believe the host’s grasp of facts, figures and concepts. Keeps the program moving at a pleasant pace. Effective in controlling his academic guests - keeping them on topic. Melvyn Bragg is so incredibly sexist that I finally had to delete this from my feed. I listened to Bragg interrupt women, tell them to shorten their comments, congratulate them if they kept their comments short, and argue with them. I finally had enough when he told a woman during the “extra time” whom he prevented from making a comment that she had plenty of time given to her to make a point during the regular time. Women academics - boycott this!! Women listeners - delete it!! I learn so much from this podcast. There are so many interesting topics covered. I love the style of having a panel of experts to provide evidence/experience and the quick succession of questions from the host. I’ll definitely keep listening. The podcast does a great job of going in depth for each topic, sometimes a little too much but nonetheless interesting. I’m a history major in the US and I love this podcast. The guests are extremely knowledgeable and provide excellent context for whatever setting they’re exploring. Thank you for the podcast! I only took off one star because it seems that the host Melvin continually interrupts his guests, particularly the female ones, in a rather rude way. I love listening to their extended answers. Excellent quality, excellent delivery, excellent content. Thank you. This is like having coffee once a week with a bunch of fascinating scientists and historians. I enjoy hearing different perspectives and being introduced to new subjects. If you like history or science you will like this. Happy listening. Where else could you find true deep context for some of the most enduring and iconic moments of history and science and culture? An exceptional podcast. 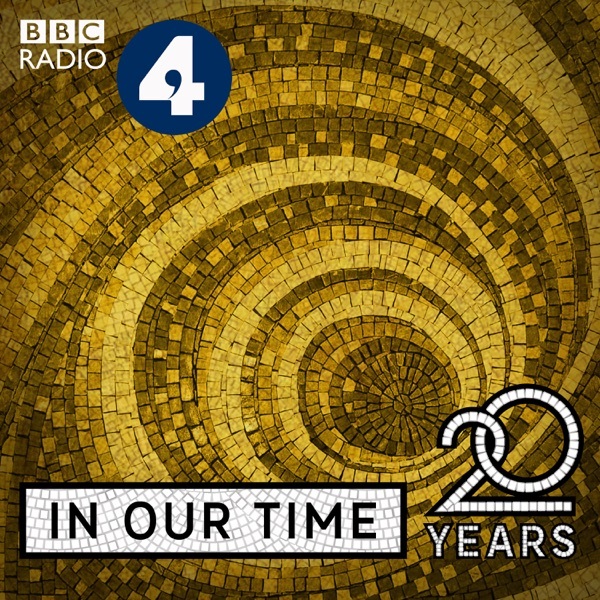 Essential listening if you're interested in a range of science, history, society, culture, arts, etc. plz fix the missing artwork problem!!!!! The podcast is not showing its artwork once downloaded. really disturbing, plz fix it apple!!! I recommend this podcast to all my friends- I have enjoyed and benefitted from it for years now. I first discovered it when I was looking for something to listen to while running in New England in the winter, and In Our Time turned what would have been a cold slog into 40 minutes where I found myself listening so hard that I hardly noticed the mud, sleet, or snow drifts. There are enough episodes to easily follow one's interests. Some panels are better than others, but in general an episode gives a good snapshot of the most current academic ideas and attitudes about the topic. Upon a topic that the listener knows nothing of she will gain a good overview, on a familiar one new insights. My go-to. Consistently fascinating, engaging, and entertaining. I can thank Melvyn for introducing me to Evelyn Waugh, Mary Beard, the evolutionary history of the whale, and so many wonderful episodes. A treasure. This show is not for the casual listener, but as someone who is passionate about history and likes to hear in depth academic discussion, it delivers in spades. These podcasts cover every subject in a concise manner and with expert analysis. Everything you want to know, but about which you will never have enough time to read. In Our Time, a reluctant fan’s perspective. Stumbled on In Our Time while looking for a direct link to the BBC Global News podcast a few years ago. I have to say at first I found it a bit dry when compared to more audience focused podcasts. Now I am completed addicted to Mr. Bragg and his erudite and knowledgeable exploration of basically everything worth knowing in (and outside) of our world. Fascinating discussion with learned experts on topics ranging from Jayne Eyre to Echolocation and everything in between. Mr. Bragg is an excellent inquisitor and asked probing and knowledgeable questions on every facet of the days’ subject. In order to fully appreciate the talent of Mr. Bragg one MUST listen to his interview with Dennis Potter which is as beautiful a thing as can be and allowed Mr. Potter to express his views on life and art (which were very prescient particularly his perspective on Mr. Murdoch and the advent of False News) in his last days. Really a show of the highest excellence and something that represents the best of our western Anglophone culture and the true purpose of the BBC. I always leave each installment of In Our Time with some new insight or idea, and often a new book or books to seek out. Simply presented, with scholarly perspectives for the curious mind, expertly guided by Melvyn Bragg. Bravo! Preparing for a 7 hour bus trip home & was looking for something interesting to listen to on the way, figured since some of the shows I enjoy watching on YouTube are BBC 4 programs I would take a look at what they had to offer in the way of podcasts. Picked out a few episodes that caught my eye & the first one i listened to completely blew my mind! The podcast was about Ben Franklin in Englan, I assumed they were just discussing the thing about the bones found under the house he rented- which they did cover, but as things progresed they went into why he was in England & his orignal leanings toward concilliation, they talked about the events that lead to our grievances that lead to the declaration of our independance from England -one of the most important reasons being the taxation without representation is probably the first one we learn in elementary school, but I have never heard exactly WHY. Listening to this discussion I found out that we were given a charter that said we were the only ones allowed to impose taxes, but when England taxed us they were in violation of that guarantee, & combined with the other issues we had no choice but to stand up & tell England NO. I was so exciteed & I have enjoyed the other podcasts I've been listening to just as much! I love the way the topics are being discussed & dissected, the guests challeneged in their answers & made to defend their positions! Looking forward to listening to the ones currently downloading, my brain is the better for these wonderful programs!! BBC, you are the best!! I’ve been listening for almost a decade! The only podcast that has never let me down! Thank you BBC for this wonderful programme, which looks closely at subjects that often get little or no attention outside academia. Rambling, obnoxious interruptions, people talking over each other!! I really respect anyone who puts any effort and time into creating something. I really do. However, sometimes, they just cannot help themselves. I found the subjects discussed in the podcast to be very interesting but the damm host just cannot help himself from talking over, under and around the EXPERTS that he invites on the show. The guy keeps interrupting EXPERTS who try to answer questions he just asked or trying to explain a certain fine point. I guarantee you that the host’s bad habits, irresponsible behavior and antics will annoy you within 12 minutes. If you are patience like me and give him the whole hour on the first try, be careful and don’t use any sharp objects for a day afterwards as you may hurt yourself or someone you love intentionally. Now I can finally delete this podcast and get my sanity back. Everyone should listen to this podcast. The entire BBC series, In Our Time, is outstanding. They go into depths, details, tangents, digressions, explorations that US programs simply do not match. The speakers are wonderful. Complex information is presented in a civilized, engaging, leisurely pace such that any one may enjoy. They are simply the best podcasts I have ever enjoyed. Brilliant work!!!! A masterclass in topics as varied as can be imagined. Long may it run. The best free education you will ever receive. Superb broadcasts for the curious and the literate. All The in Our Time Podcasts are genuinely superb. The host keeps the academics on topic with a firm hand and sharp humor. Columbia University provides links to many of the podcasts so that students can use it as a resource in its core curriculum. Any educated person will find much stimulation and pleasure here. I listen to these podcasts when I want to reward myself. Scholarly yet accessible, light-hearted yet substantive, this long-running series teaches me so much! thank-you! If every person on Earth would just take 50 minutes to listen to this intelligent, and insightful discussion, on any of the topics covered, World Peace would surely come pass. The inspirational stories and little known, but perspective altering arguments and contexts presented by scholarly experts, captained by the Moderator General, elevate the quality of discovery to where we’ll all thirst for more. Huge library of content; everyone will find topics interesting to them - spread the word. Melvyn is so subtly hilarious and extremely witty. He is SO charming and brilliant. I go to sleep every night listening to his soothing voice. I think he’s my soulmate. If you see this, Melvyn, thank you for enriching my life. 😽😽😽😽 Also, Melvyn interrupts because that’s his job to guide the discussion and make sure there is time to cover all the important points. The experts are there to give information, but Melvyn’s role is difficult and important, and he does it with such tact and elegance. He is truly a pro. I love this show and look forward to new episodes. One small note; please have Melvyn back off the microphone when clearing his throat. It’s quite jarring. This podcast is always entertaining and brings you through the life of an idea or a person without any nonsense or filler. I do love how the bonus content always ends with the producer asking everyone if they want coffee or tea. Melvyn Bragg is hard to take. The contents from his guests is excellent in spite of him, not because of his skill as a moderator. He talks over and interrupts his guests. A shame I'm too dumb for this. I feel that I am getting a second education in the liberal arts and sciences. Consistently great. Absolutely love this podcast. Summer break is too long!! Wide ranging topics and guests. I go back and listen to older podcasts multiple times. Melvyn is an expert interviewer and I love the variety of topics. Love the topics, great guests with lots of passion and knowledge to share. The host is, unfortunately, very rude to women- much more likely to interrupt them, dismiss them and talk down to them. With a better host this would be amazing.